Jet2CityBreaks is giving Yorkshire customers even more stunning city spots to choose from with the launch of a brand new destination, Rotterdam. The addition of one of Netherland’s most coveted cities, along with Cologne earlier this year, now takes the number of Jet2CityBreaks available from Leeds Bradford Airport to 25. Other popular destinations include Amsterdam, Dusseldorf, Paris, Pisa, Prague and Rome. This continued expansion is in direct response to the rise in customer demand. The number of local people booking a short city trip is 40 per cent up year on year, with the leading package holiday specialist predicting further growth. 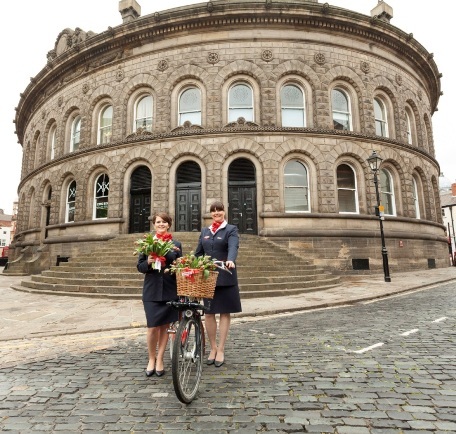 Steve Heapy, CEO of Jet2.com and Jet2holidays, said: “City trips are certainly increasing in popularity, especially in Yorkshire, which is why we have really focused on our product for 2015/16. “Earlier this year we launched our dedicated Jet2CityBreaks brand and we have really started to develop this with the introduction of new and exciting destinations for local travellers, the latest being Rotterdam.